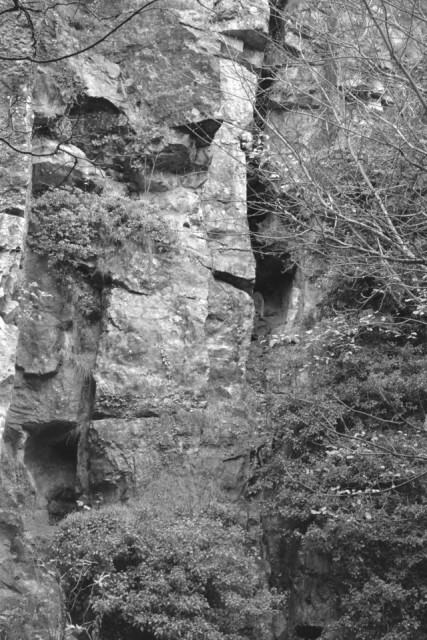 A lot of Rock climbing was done in the last few centuries in the Stoney Middleton area as anybody who has ventured down the caves and mines thereabouts will testify. 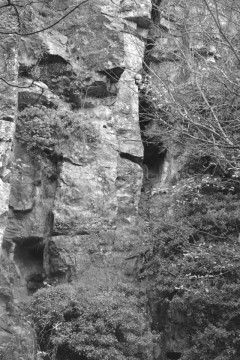 However, the first recorded above ground activity of rock climbing for recreational purposes hereabouts was by Henry Bishop recorded in an article entitled ‘Climbs on Mountain Limestone in Derbyshire’ in the 1910 Climbers’ Club Journal. 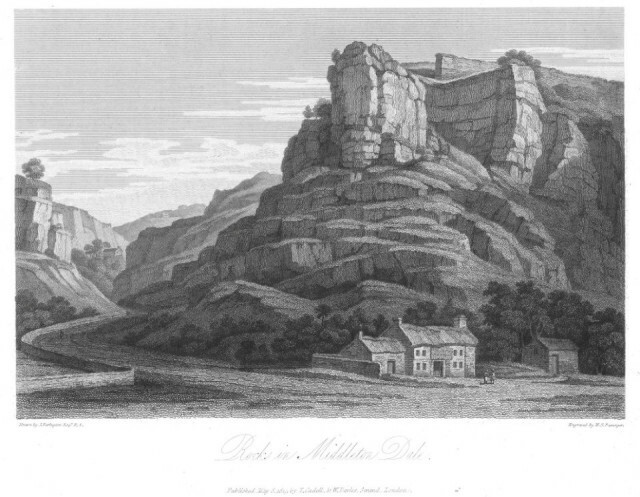 Here he writes of limestone: ‘….that its treacherous nature unfits it for the climber’s attention’. STONEY MIDDLETON DALE, about 3½ miles S.S.W. 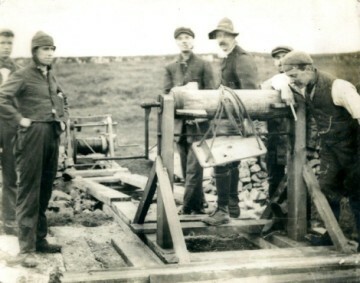 of Grindleford Station, possesses a magnificent cliff of limestone, the main mass of which extends from the village to the Ball Inn at the bottom of the road leading up to Eyam [Ball Inn no longer exists]. The only course appears to be the Stoney Middleton Climb (about 90 feet); but this is so interesting and varied in character as to be well worth a visit. It is situated rather nearer to the Ball Inn than to the village. The visitor should look out for a square-cut chimney starting at the foot of the cliff, and seemingly ending where a large block is jammed across its outer edge at about 40ft. 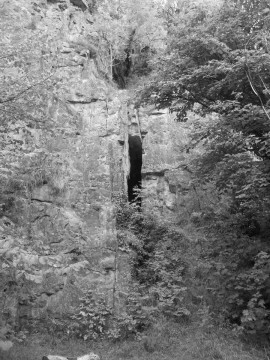 It being impossible to climb the chimney to the apparent through-route behind the block, a start is made up the left (looking at rocks) buttress about 20ft from the chimney. A fifty-foot rope is convenient. There is practically no annoyance from lookers-on. A ROUGH CLASSIFICATION of the climbs, concluding with those requiring the greatest amount of experience on limestone to do with safety, might read: Winnats Crack; Cave Dale Cracks; Elbow Ridge; Peter Dale Staircase; Enclosed Chimney; Stoney Middleton Chimney; Open Chimney; Peter Dale Chimney; Matterhorn Ridge; High Tor Gully, ordinary way; ditto, new way; Dargai Crack. been the subject of some debate but it is, in my opinion, what became known as Mineshaft. There are only two chimneys worthy of being described as climbs, those being Mineshaft and Fingal’s Cave. 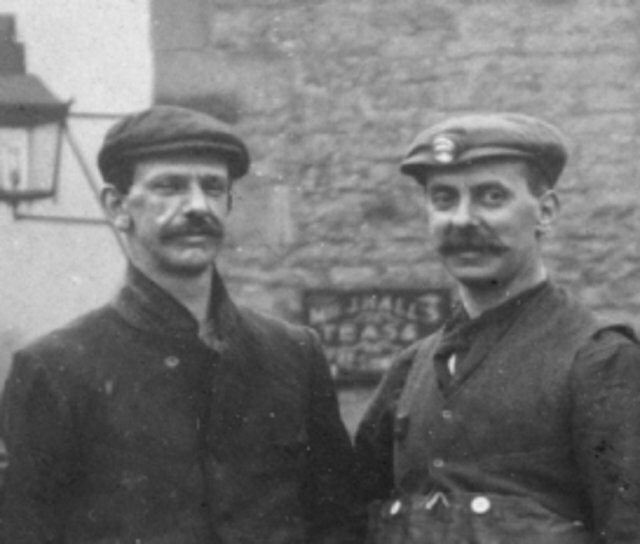 There is a report in the book, High Peak, of Puttrell and Bishop making a 90ft chimney climb in 1918 which became known as The Flue. This could well be Fingal’s Flue (V Diff) or even Fingal’s Cave (HS) but at this moment I don’t know the original source of that information.